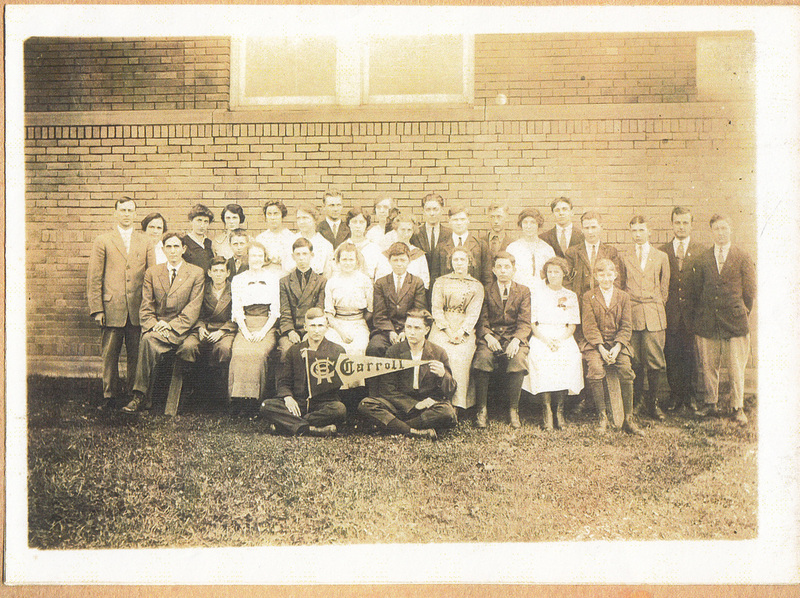 There is no graduation picture for 1916 however this picture taken in 1915 is of the entire high school and includes all of the 1916 graduates. The caption below identifies the graduates and their year of graduation. Standing - Edwin Schmidt, Teacher, Mary Burman ?, Pauline Livingstone 1917, Jessie Kistler 1917, Mabel Walter 1917, Russel Cooper 1915, Rose Sweeney 1918, Ethel Fenstermaker 1917, Edith Barrow 1916, Ralph Phelps 1916, Raymond Garaghty 1918, Frank Metzger 1917, Blanche Ruble 1916, Charles Hanna 1915, Bryan Redd 1918, Herbert Smith 1917, Raymond Fast 1915, Austin Gibbony ?